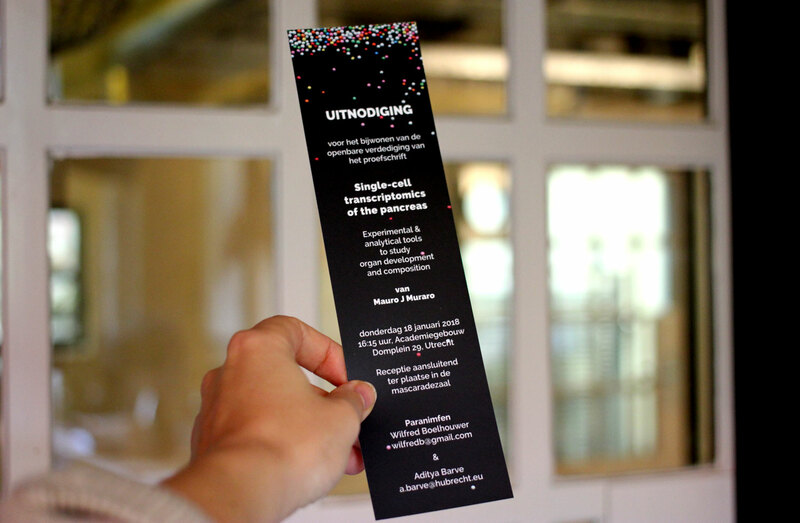 For Mauro Muraro’s thesis I designed the cover, invitation and the chapter title pages. Sequencing is a technique that allows us to gain more insight in which kind of genes are being used within a specific organ. Up until recently it was only possible to use this technique for thousands of cells at the same time. Because of this it stays unclear which genes are used in the different cell types. Single-cell sequencing makes it possible to apply this technique at an individual cell level. The difference between the classic way of sequencing and the single-cell technique is more or less comparable to switching from a paper city map to google street view: all of the special buildings are suddenly visible. By comparing all of those buildings, grouping them into different categories based on their similar characteristics, and eventually seeing them next to the satellite city images, it might be possible to discover new patterns: Houses with gardens for example are often likely to find in a specific area of the city, while tall buildings with many apartments can be found elsewhere. 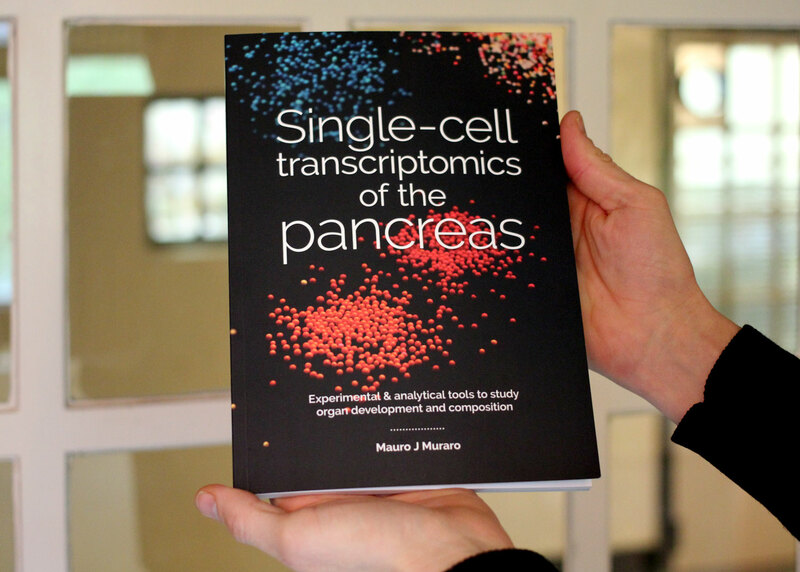 In his thesis Mauro Muraro focuses on the research of applying this method on cells from the pancreas in order to better understand its biology and development as well as forming a clearer image of its different cell types and their characteristics. This will hopefully in the end give us a better idea of what’s going wrong when it comes to a desease like Diabetes. For Mauro’s cover I decided to take discodip (sugar sprinkles), sort it by color and use the different color groups as a sweet metaphor for this complex research.